Gorgeous and impressive doors at Podere Selva Capuzza. Drive about 10 minutes away from the southern shore of Lake Garda, taking a couple of roundabouts inland, and you’ll start to see the beautiful vineyards of Lugana. Predominantly situated in Lombardy and crossing over into Veneto, it strikes me as odd that this region is not better known. It’s so close to the lake resort areas! Greg and I recently spent a couple of weeks driving around northern Italy. (My first time in Italy!) We took a small detour as we made our way from Barolo to Verona to have a glimpse at Lake Garda and grab some food. After a lovely lunch, we made an afternoon stop at Podere Selva Capuzza. 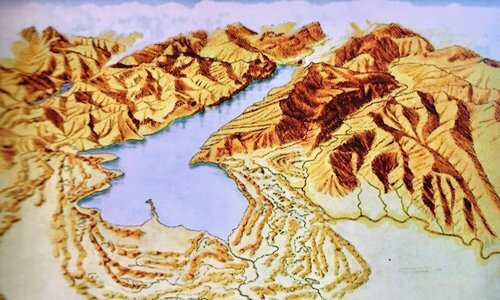 The truth is that this region is not all that well known even by wine geeks in the US. I’ve started to become familiar with it a bit over the last couple of years for two reasons. First, we often carry a bottling from Ottella Winery at Bay Grape that I’ve become partial to. Second, I caught a presentation on the region by Deborah Parker Wong at the 2017 Wine Bloggers Conference. In a short time I’ve really come to appreciate the wines of this region–they’re incredibly versatile! The grape of Lugana is Turbiana, which must make up 90% of the blend. Turbiana is closely related to Verdicchio and Trebbiano di Soave, but the latest research shows it to be different from both. 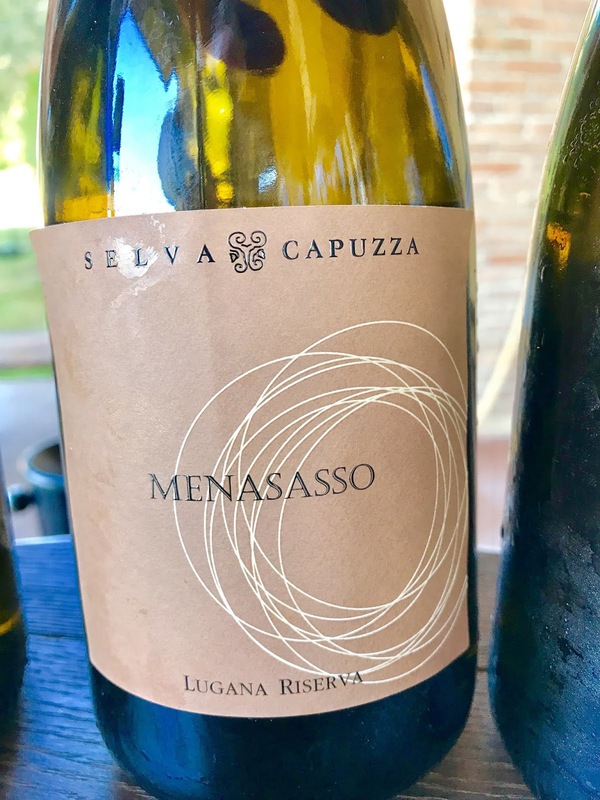 To me, Turbiana shows a deeper character with more stone fruits, ripe citrus, beeswax, and greater extraction than some of the versions of Verdicchio from the Marche, for example. I was really interested to see the region since we’d be in the general vicinity. Sadly it was to be a very brief stay as we’d be only passing through. It was beautiful and I would certainly love to go back and explore it more completely. A little time relaxing by the lake wouldn’t be bad either! A recommendation from Deborah lead us to Podere Selva Capuzza. We spent a couple of lovely hours tasting with Luca Formentini whose family established the estate. They’re in the middle of the family’s 101st harvest! He currently leads the team with the help of a cellarman, a winemaker and an agronomist. 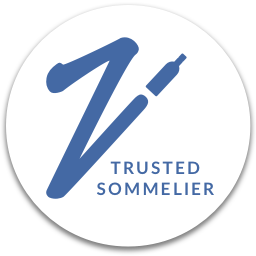 A musician in addition to being a vintner, he sees himself kind of like a music producer helping to bring all the pieces together to help realize the vision. He also is currently president of Conzorzio Lugana. Despite all of these myriad duties, there was something very calming and serene about his presence that made us feel quickly at ease. He graciously took some time out of harvest to meet with us and explained the terroir and history of the area. Lake Garda was cut by a glacier. 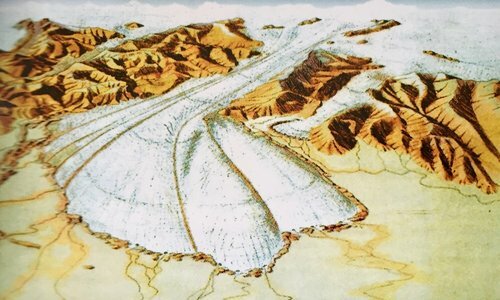 The rolling Morainic hills of the region were created by the expanding and retreating of the melting of the glacier and caused the hills to form in an amphitheater shape around the lake. The soils on their vineyards are predominantly clay with a lot stones and are rich in mineral salts, thanks to that glacier. The minerality definitely shows up in the wines. The lake is key for the microclimate of the region as it greatly moderates the temperatures. To illustrate this point, Luca mentioned the many olive oil trees on the property, as well as the region as a whole. Typically, the latitude would be a bit far north and the area too far inland for growing olives. The moderating effects from the lake help make it possible. Additionally, cooling winds flow down from the Dolomites in the morning, while afternoon winds are warmer. Both help to keep the vineyards ventilated and the grapes healthy. 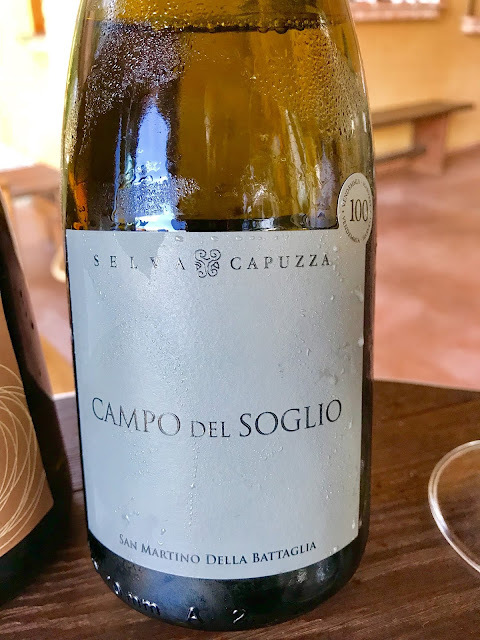 The Formentini family works with all native varieties under three different overlapping DOC’s: Lugana, San Martino della Battaglia, and Garda Classico. Each DOC allows for different grapes. 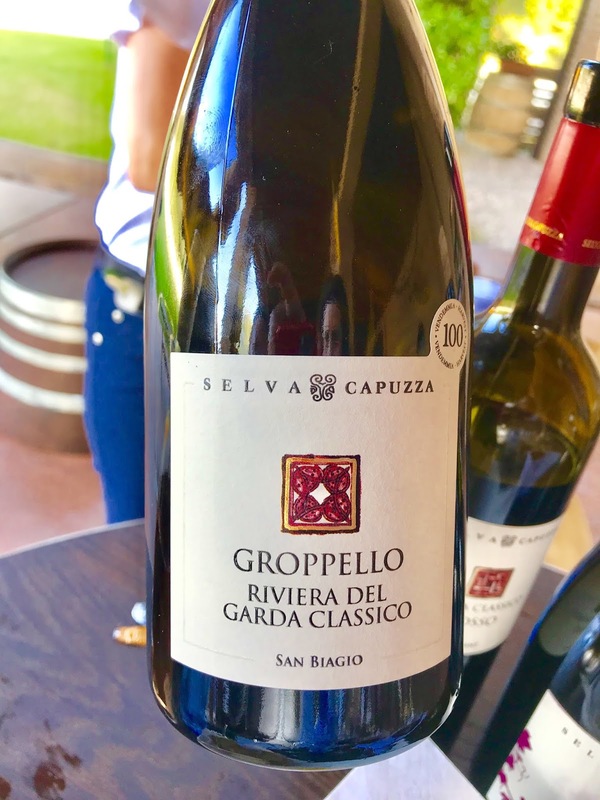 Selva Capuzza happens to be the only winery that produces wine under all three. Since we had a chance to taste through a variety of wines, I’ll quickly share my tasting notes on all the those we tried. (In addition, to these they make a sparkling wine we did not have the chance to sample on this occasion.) We discussed pairing options as we tasted with both Luca and the somm at the winery. (Sadly, I forgot to write down her name. 🤦🏻‍♀️ ) The winery also has a restaurant and rooms available for guests to stay at –– maybe next time! They are currently between importers in the US, but I’m hoping they will find one soon as I found the QPR on the wines to be excellent. Happily, we brought back a couple of bottles with us. I’ll be cooking to them soon and will certainly share the recipes! This is their lighter, fresher style of Lugana. They see it as their most traditional interpretation. It had notes of pear, green apples, a touches of white flowers. It also had a touch of pleasant herbal bitterness on the finish. It was a light and happy wine. This is a porch sipper. Completely lovely on its own to be paired with sunny days, salads, and light seafood. 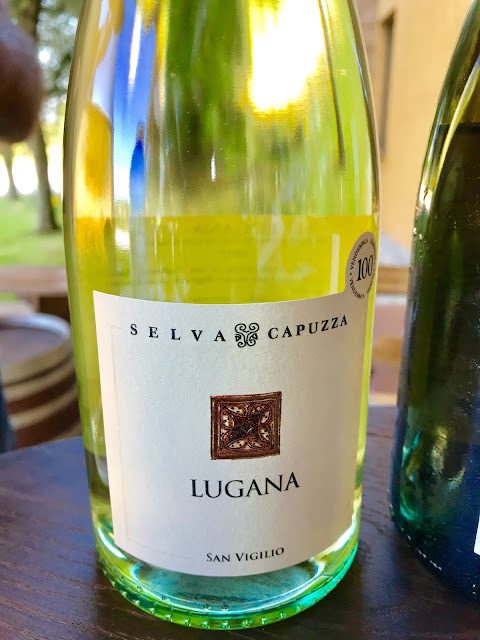 They consider this their signature Lugana: “Produced from our oldest and highest vineyard the Selva is one of the first single vineyard Lugana ever produced.” The vineyard is 40 yrs old. This wine definitely goes deeper. Here the pears were more ripe, the apples were gold, but there were also green notes like green melon. White flowers and honeysuckle adorned the nose. The wine also showed greater minerality with a chalky feel.There was greater concentration on the palate with a touch of beeswax to the mouthfeel. Greg liked the idea of this wine with anchovies. It certainly would be fabulous with all kinds of fish, shellfish, and chicken. The somm mentioned she’d even had it work well with red meat. “Produced from a selected plot within the Selva Cru, the Menasasso grapes, that make up this rich and refined white wine, are harvested few days after the regular vintage to explore the full potential of the this wonderful vineyard.” This wine is aged 94% in stainless steel, with about 6% spending time in new French oak for a bit of added complexity. This was a beautifully layered wine. On the nose it had notes of deep gold apples, baked pears, light herbs, a combination of dried and fresh flowers, with a hint of cheese rind. All of those notes continued on the palate and were joined by touch of saltiness, lots of minerality, green melon, almonds and beeswax. It had a luxurious creamy texture with a long, rich finish. Anchovies continued to seem like a good idea, but now perhaps on buttery, golden toast points. We were told that there is also a local white truffle that pairs wonderfully with this wine. I think this could certainly stand up nicely to a roast chicken or pork, perhaps in a light cream sauce. We brought a bottle of this home, check out what we decided to pair it with here! 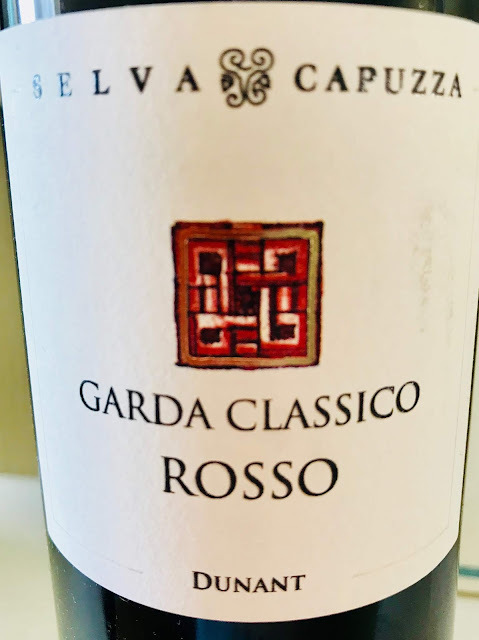 “Our family was instrumental to revive and save this small appellation from disappearing and is working hard to bring it to national and - subsequently - international attention.” This is one of the smallest DOC’s in Italy and for a long time this was the only wine being made under it. The grape here is Tuchì, which is actually the same as Friulano. They couldn’t use the former name, Tocai Friulano, anymore under EU rules as “Tocai” became reserved for the wines from the region in Hungary. The grape was subsequently left without a name in this region for 7 years. Selva Capuzza marks this by putting a “?” on the back label. It was eventually agreed upon to re-adopt “Tuchì,” an older, local name for the grape. This wine had a very compelling nose with notes of peaches, golden apples, and vanilla blossoms. On the palate, stones entered on the finish, but with a richness to the texture and lots of concentration of flavor. While different in flavor to the Menasasso (different grapes of course), it had a similar weight and feel, so I think this would also go well with light meats and poultry. 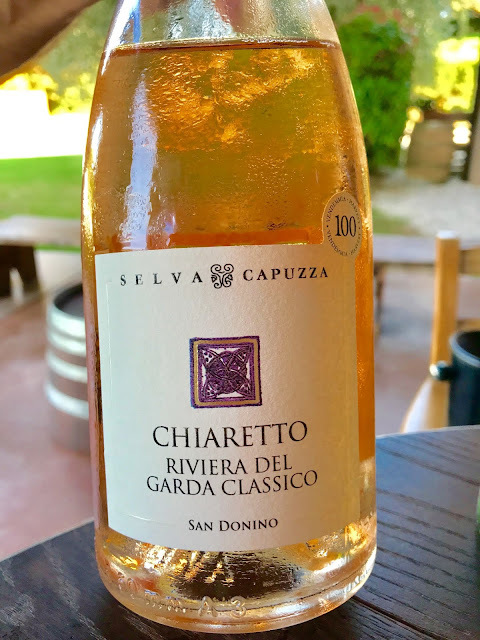 This rosé is made from four local varieties–Groppello, Marzemino, Sangiovese, and Barbera–and spends 12 hours on the skins to get it’s lovely pink color. The wine showed a pretty floral note with light orange peel, and cherries. On the palate it was crisp, light and refreshing, with a touch of savory herbs and tomato water. This would be wonderful with salads, panini, and charcuterie. The somm mentioned that she also finds this wine to work particularly well with asparagus, which can be so tricky to pair. Groppello is considered the most important of the local red wine grapes. It takes its name from the word for “knot” because it grows in very tight bunches. Such a pretty nose on this wine! It showed pink flowers and lots of bright red fruits like cherries and pomegranate juice with a touch of the pith, and cranberries, all lightly spiced with a pinch of white pepper. On the palate it was light and very easy to drink with raspberries and lightly perfumed with roses. If I had access to this wine on the regular, this would be a fantastic House Wine to drink on weeknights. Perfect for pizza, panini, and fresh tomato sauce. Like the Chiaretto, this wine is a blend of the four local red grapes: Groppello, Marzemino, Sangiovese, and Barbera. I got that hint of flowers here as well, along with darker, brambly red berries with a touch of spice. It was medium weight, fun and still easy to drink with a bit more structure. They called this their “grill wine” and pairs with anything coming off the grates. We brought home the 2013 and am excited to check it out. A more concentrated version of the Dunant, the goal here is make a bigger and more complex style of Garda red. It’s made with the same grapes as the Dunant but from older vines with more restricted yields. It’s aged in small oak barrel for up to 18 months. The berries here are deeper on the nose– steeped red cherries and spiced red plums. On the palate, it was fuller (while still medium bodied) with light tannins. It was quite flavorful with notes of raspberries, plum sauce, pomegranates, and spice. This wine would pair well with red meats, particularly pastas topped with ragout and stewed meat dishes. For me, the red wines kind of straddled Italian and Austrian styles, which makes a bit of sense since they’re fairly close to Austria. They certainly had the flavors of Italy but with the light, easy drinking quality I associate with a lot Austrian reds. 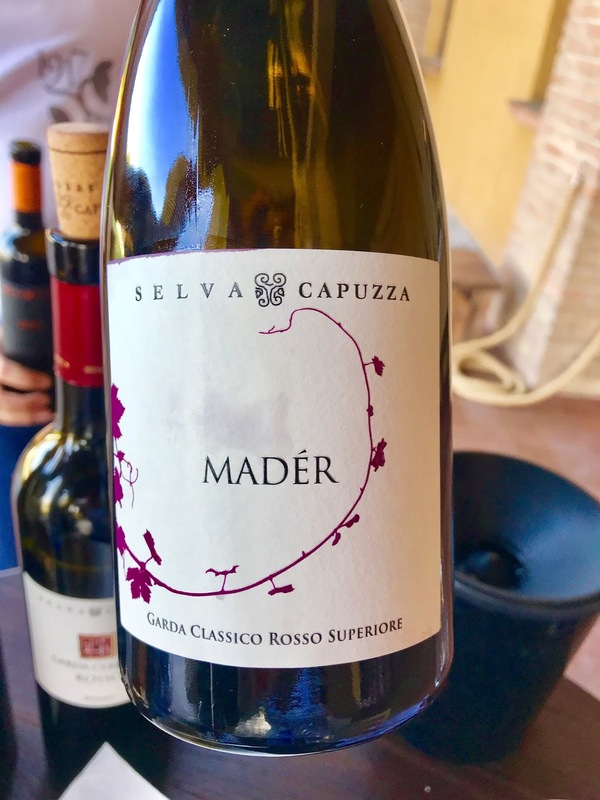 This wine is also made from Tuchì, but the grapes are dried out through the appassimento method to concentrate the flavors, and then it subsequently fermented in small barrels. A beautiful dessert wine with lovely acidity and extraction. It showed orange and gold flowers, notes of hay, dried peaches, and honey. I thought this was delicious and an excellent value in dessert wines, which tend to be very expensive. We really wanted to bring one back, but were running out of room. Swans and views at Lake Garda. 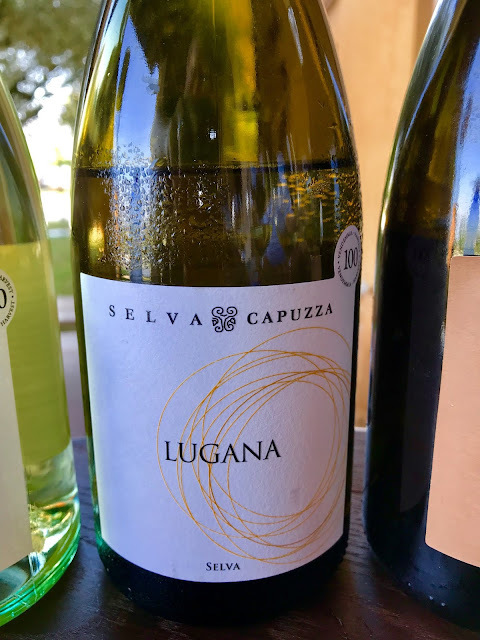 Rupal the Syrah Queen: A Journey to Lugana - Italy’s Elegant White Wines.